COLUMBIA, S.C. — Hillary Clinton began her campaign to win South Carolina years ago. African-American voters carried Clinton to an overwhelming victory over Sen. Bernie Sanders of Vermont, in the state’s Democratic presidential primary. African-Americans typically make up the majority of South Carolina’s Democratic electorate and, according to CNN’s exit polling, Clinton won with the support of 84 percent of the state’s black community. Her husband, Bill Clinton, was famously dubbed America’s “first black president” because of his background, behavior and the admiration he earned from some in the African-American community during his time in office. But fond memories of Bill and the 1990s aren’t what cemented Hillary Clinton’s edge with black voters in South Carolina. 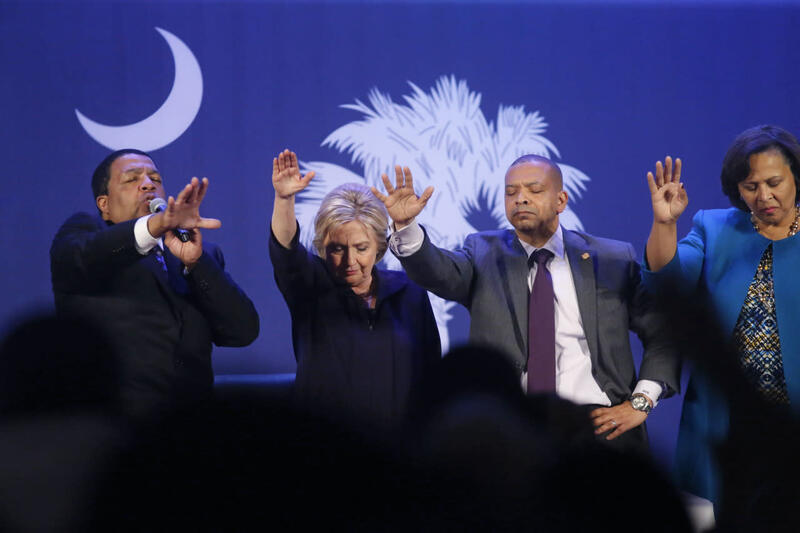 Clinton managed to build a base in the Palmetto State through a years-long, under-the-radar operation to stay in touch and gather support from African-American leaders in the state she lost to Barack Obama in 2008. Sanders, on the other hand, struggled to gain traction with black voters in South Carolina, hampered by the very thing that has lifted him elsewhere: his position as an outsider and newcomer on the state’s political scene. Attempts at outreach came late and were described by some local African-American leaders as ham-fisted. The Clinton campaign’s South Carolina ground operation launched on the day she announced her presidential bid last April. At the time, she was the clear frontrunner and had the fundraising to match. That early edge let Clinton hire experienced local staff and set up shop in South Carolina, long before Sanders was seen as anything more than a long-shot challenger with little national profile. “We were in this state first. The day we launched this campaign, we had staff in the state,” said Marlon Marshall, Clinton’s director of states and political engagement. But Clinton’s presence in South Carolina began long before that day. Bill Clinton won the Palmetto State primaries in 1992 and 1996, which allowed Hillary Clinton to build relationships in the state and get to know its politics and leading personages. In fact, Clinton’s ties in the state predate her husband’s presidential bid. Clay Middleton, a native South Carolinian who served as state director of Clinton’s campaign, noted she first came into the state during the 1970s, while working as a young lawyer with the Children’s Defense Fund. And as first lady of Arkansas, Clinton co-chaired a task force on infant mortality with former South Carolina Gov. Richard Riley. But all that support seemingly vanished in 2008, when Clinton faced off against Obama, the first African-American major-party presidential primary frontrunner. Rev. Joseph Darby, vice president of the Charleston branch of the NAACP, attributed Clinton’s loss that year to the simple fact that voters had — and wanted to take — the chance to elect the first black president. Nevertheless, even after being beaten by Obama in South Carolina, Clinton never retreated from South Carolina, Darby said. In contrast, a source said the Sanders campaign did not begin to establish a large presence in the state until last September. Sanders’ allies acknowledged he didn’t have the support of South Carolina’s older African-American church leaders and established groups. The rapper Killer Mike, whose music mixes political messages and hard-driving hip-hop beats, campaigned for Sanders in the state and sought to draw the support of a younger African-American audience. Killer Mike made the case that Sanders’ message echoes that of Martin Luther King Jr. — even if the “idols” of King’s movement are with Clinton. But in South Carolina, many black voters clearly resisted Sanders’ “political revolution.” While Sanders’ promise to take on the political establishment has helped fuel his challenge to Clinton in other parts of the country, that outsider status may have actually hurt him in South Carolina’s African-American community. JA Moore is a 30-year-old African-American South Carolina native who serves as vice chair of the Charleston County Democratic Party. As of Wednesday, Moore said he had not decided how he will vote in the primary. But in Charleston, where he moved a little over a decade ago, Moore says he is still viewed as an outsider. Addressing recent racial wounds in the state, only some of which have made national news, has been a tricky thing for insider and outsider candidate alike. In April of last year, a black man named Walter Scott was shot in the back and killed as he ran from a white police officer in North Charleston. Footage of the shooting energized the Black Lives Matter movement in South Carolina. Then, two months later, white supremacist Dylann Roof killed nine people at “Mother Emanuel,” a historic African Methodist Episcopal church in Charleston. These incidents have had a “transformative” effect on South Carolina’s political landscape, said Moore, whose sister was killed in the church shooting. Moore said there’s no question Charleston’s black population is upset. Along with the issues of racism and police brutality that have made headlines, local African-American leaders who spoke with Yahoo News listed a slew of things the community in South Carolina is concerned about: poor quality of schools, rural communities that lack access to clean drinking water, poverty and high incarceration rates. Clinton and Sanders had to navigate this fraught landscape as they sought to win the state’s black vote. And both of them have stumbled as they tried to connect with a community where the list of grievances is long and emotions are running high. Heading into the South Carolina primary, the two Democratic candidates both made targeted pitches designed to address the specific concerns of African-American voters. 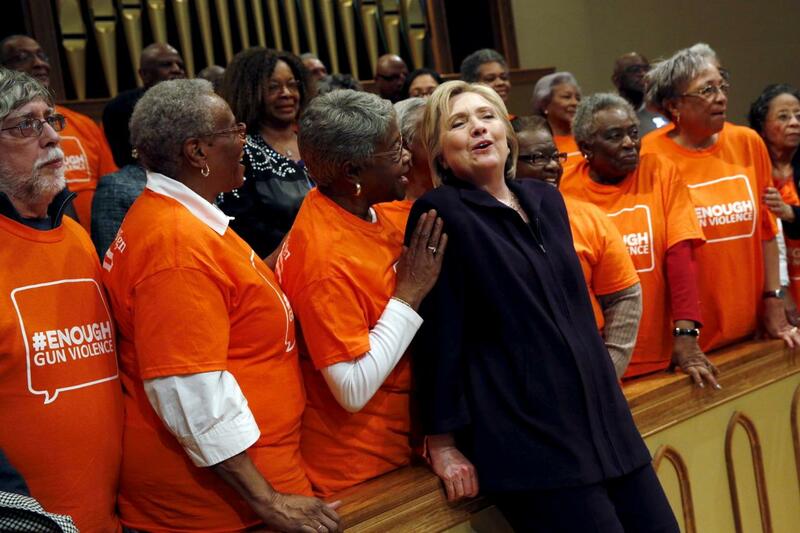 Bakari Sellers, a Democratic former member of the state Legislature who mounted an unsuccessful gubernatorial campaign in 2014, noted that Clinton “didn’t have” these messages as part of her platform in 2008. 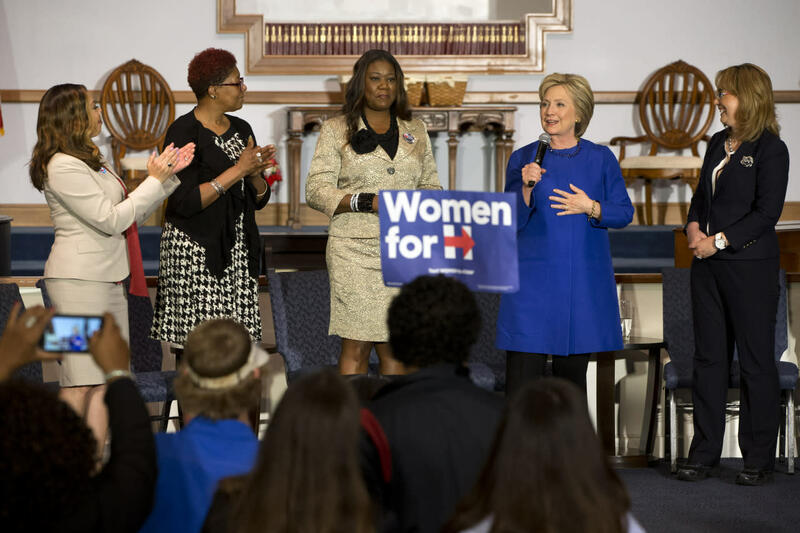 Sellers, who is a Clinton supporter, praised her for turning to black women as she crafted her outreach to the community and predicted it would help her win the primary. The protest was an extension of continuing criticism Clinton has faced for her role in pushing for her husband’s 1994 crime bill that many activists see as a major contributor to high incarceration rates in the black community. Clinton has disavowed much of that crime law. Sellers said it was good to see activists hold Clinton “accountable.” However, he also noted Sanders voted for the crime law as a member of the House of Representatives and expressed hope that Black Lives Matter allies would raise the issue. “I’m sure they will take that to Bernie Sanders as well and question him on why,” Sellers said. Like Clinton, Sanders has tried to specifically address the needs of African-American voters in his platform. Sanders has increasingly highlighted criminal justice reform and police brutality in his speeches. “He’s … saying that the policy of fair pay affects black people, the policy of ending the drug war affects black people, the policy of ending mandatory minimums on our federal sentencing guidelines affects black people,” said Killer Mike. The rapper also praised how Sanders reacted when he was interrupted by Black Lives Matter protesters last August, by comparison with Clinton’s handling of the protest on Wednesday. Sanders and his campaign also highlighted his youthful activism in the civil rights movement. Earlier this month, pictures were unearthed showing Sanders being arrested at a 1963 civil rights protest in Chicago. But Sanders’ past activism wasn’t enough to win voters in South Carolina, said Sellers, whose father, Cleveland Sellers, helped lead the Student Nonviolent Coordinating Committee. Sanders has also faced criticism for his relentless focus on income inequality and regulating Wall Street, which some charge neglects the effects of racism on creating inequality. Minister Kirsten John Foy, the northeast regional director at the National Action Network, said this is partly why some of the activists who attended Rev. Al Sharpton’s breakfast with Sanders in New York on Feb. 10 were only partially impressed. “The economic piece of it is great. We love it. We think it’s right on the money,” Foy said of Sanders’ message. However, when it came to racial issues, Foy said Sanders lacked specifics. He also claimed some of the NAN leadership felt Sanders was insufficiently pro-gun control, a criticism leveled by the Clinton campaign. “I think he has gone out of his way to show that he’s sensitive to our political needs, and that was what I think was impressive about the meeting. But there’s still like gaps in his connectivity,” Foy said. While Foy said while some of the NAN leadership backs Sanders, he and others support Clinton. Because the group is divided, Sharpton has elected to remain neutral and refrain from endorsing in the Democratic primary. In addition to problems with his message, in South Carolina, the Sanders campaign seems to have had issues with the delivery of that message. A source told Yahoo News that an influential member of the state Legislature received several direct appeals from Clinton asking for an endorsement. They were taken aback when the Sanders campaign reached out and the call came from the senator’s wife rather than Sanders himself. Darby, the vice president of the NAACP’s Charleston branch, said he’s seen a “clumsiness” in Sanders’ “approach to the leadership” in South Carolina’s black community. “Nobody really local reached out to me. These were folks that were brought … into South Carolina from the campaign. … This was not African-American outreach. This was white outreach,” Darby said. Like many South Carolinians, Scott has received calls at home from phone bankers. She said one of these entreaties from the Sanders campaign led her to go off on a 10-minute tirade and demand an apology. This did not provoke a positive reaction from Scott. Scott made it clear she does not believe that is something “Sanders would tell them to say” and added that the call probably came from a volunteer or low-ranking staffer. Still, she said it is the only contact she has had with the Sanders campaign, while Clinton’s team has made much more substantive outreach. The NAACP is a nonpartisan organization, so Scott said she does not attend political events and did not want to make any public endorsement. Still, Scott claimed she regularly received personal invitations to Clinton campaign events and has not had “one iota” of similar contact from Sanders. Sanders’ insurgency in the earlier primary states has been fueled by the support of young voters. Both Killer Mike and Ben Jealous, the former NAACP president and CEO who is now also a Sanders campaign surrogate, said they believed Sanders’ message was resonating better with young black voters than with their elders. “When you look at black people under 30, you see them turning to Bernie disproportionately across the country,” Jealous said. “At the end of the day, the Clintons are a lot like Coca-Cola. They’re a Southern brand. We all know they taste good, but it’s worth asking yourself: Is that brand really good for you? … Fighting a powerful brand that happens to be the most powerful dynasty in American politics is always an uphill battle,” he said. A recent NBC News poll showed Clinton was actually doing better than Sanders among South Carolina’s younger black population. For his part, Killer Mike said he understands why older blacks have gravitated toward Clinton. But he can’t comprehend why the youth aren’t getting on board with Sanders. Darby, the Charleston NAACP leader, suggested Sanders’ message could have reached black voters in South Carolina if he had had more time. However, at this point, he argued Clinton’s experience and operation in the state were simply too strong to compete with.